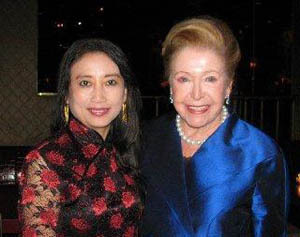 With #1 best-selling author Mary-Higgins Clark, Marymount Manhattan College gala benefactors' dinner, Sherry-Netherland Hotel, New York City, March 4, 09. 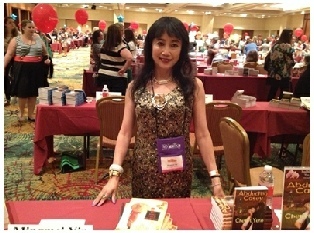 Welcome to best-selling Author Mingmei Yip’s website! 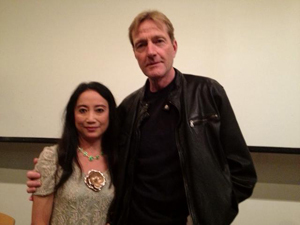 is coming out July 2013! 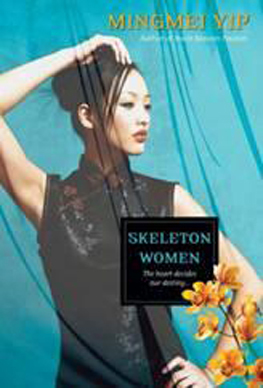 In this mesmerizing new novel, Mingmei Yip draw readers deeper into the exotic world of 1930s Shanghai first explored in Skeleton Women and into the lives of the unforgettable singer-spy Camilla, the magician Shadow, and the gossip columnist Rainbow Chang. 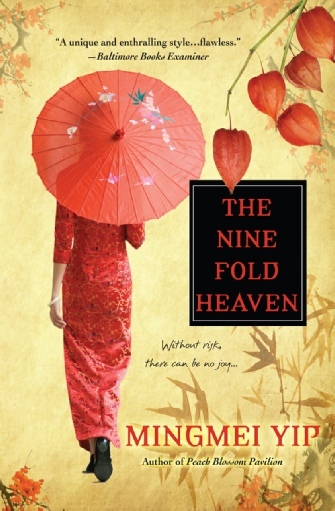 The Nine Fold Heaven is the story of an ex spy and nightclub singer who undertakes an emotional and dangerous journey to reunite with her lost lovers and the baby she was told was stillborn, and to discover the secret of her parents’ murder. 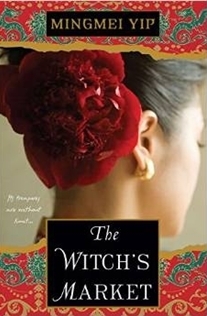 Chinese shamaness trying to solve a murder mystery involving four Western witches, a castle owner and his Mistress…. 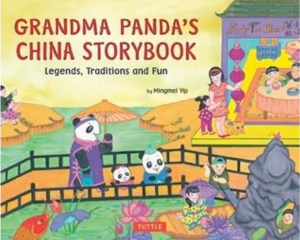 And sold to ten countries! 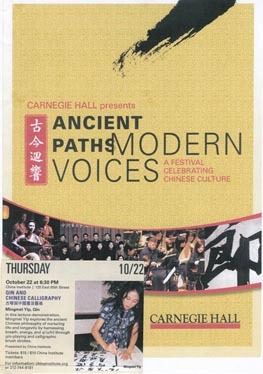 -- Legends, Traditions, and Fun! 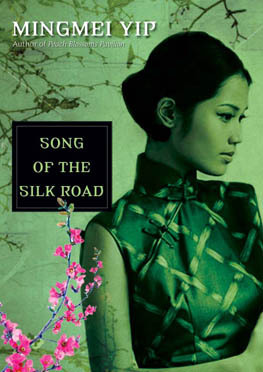 Song of the Silk Road is a romantic adventure on China's fabled route with the lure of a three million dollar reward. “Lovely and evocative, provocative and unforgettable…book clubs will especially be fascinated.” M.J. Rose, national bestselling author. 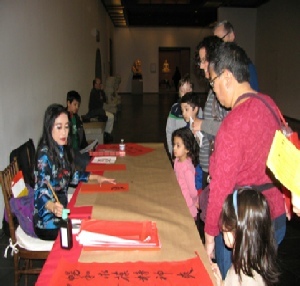 "A serious, engaging of faith, devotion, and the commingling of cultures." 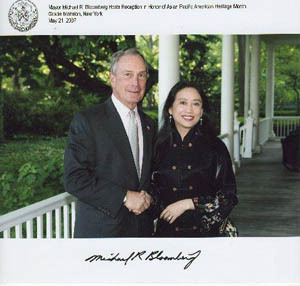 Booklist. 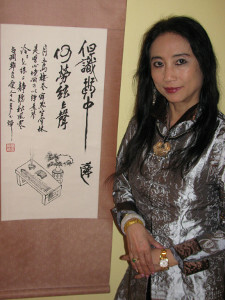 Petals from the Sky is a Buddhist, interracial love story set in Hong Kong, China, Manhattan, and Paris, published in March 2010 by Kensington Books! Petals from the Sky was # 7 on Amazon's kindle sale right after its release!!! 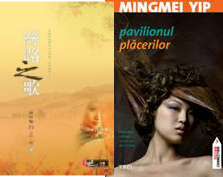 Only 7 weeks after its release, Peach Blossom Pavilion is already in its 4th printing!!! 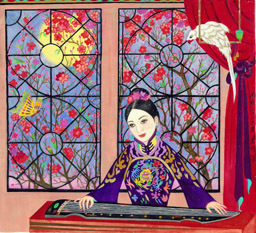 Peach Blossom Pavilion is the first novel in English about a Chinese courtesan (geisha) who was a qin musician! 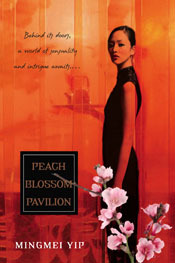 A riveting account of mysterious lifestyles in pre-Communist China, PEACH BLOSSOM PAVILION is filled with amazing characters and unique stories. 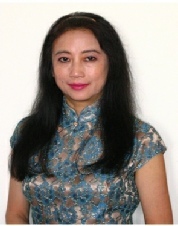 Xiang Xiang begins her tales through the eyes of an adolescent, shocked, and heartbroken at her losses. 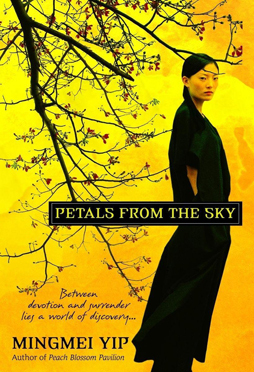 Her strength and perseverance is brilliantly portrayed in this stunningly presented novelThe journey she eventually takes is both exciting and poignant as Xiang Xiang finds not only who she seeks, in many ways, but also discovers herself. Beautifully written, readers will not be able to put this book down until the last page is turned.